There really is not a clear definition of what a Music Producer is, but there are two types. One is someone who develops an artist’s sound and image, and helps them grow into a marketable product. 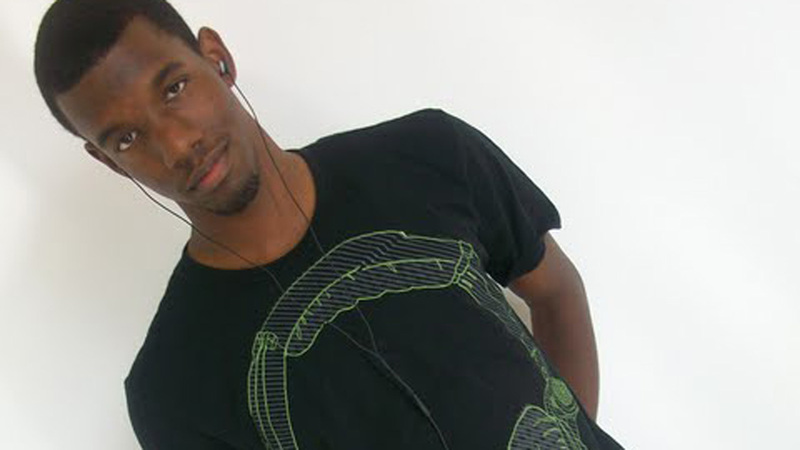 This column focuses on the other type — an Audio Producer, like Jaron Henderson ’10. Audio producers are responsible for conducting musicians, engineers, and artists during recording sessions. It is their job to compose, arrange, mix, and master the music into a final audio product. Some notable producers that may come to mind are Dr. Dre, Scott Storch, The Neptunes, and Timbaland. Ladies and Gentlemen, we have a great artist in our midst, right here at Bishop McNamara. 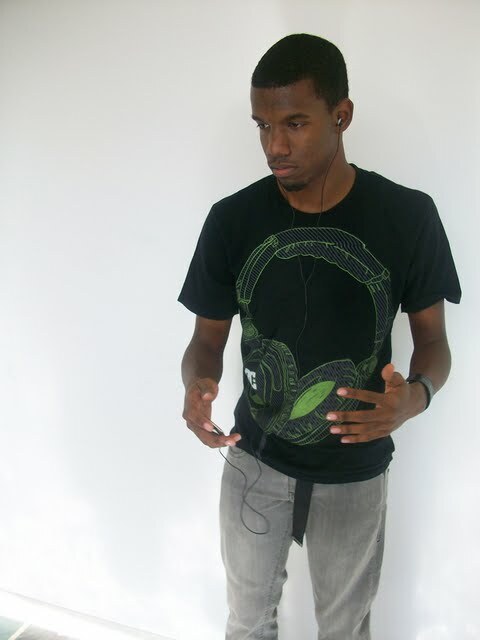 He is a talented music producer aspiring to break into the music industry. If you have not yet gotten to know this month’s BMHS Music Star, Jaron “J.J.” Henderson, you should definitely add it to your “to do” list. You might not know him, but if you attended Sankofa Night or BMHS’s Talent Show you’ve certainly heard him. One of his beats was used in a rap performance. Also, he performed himself, playing the piano, alongside a singing act. Now he still drums in Afican Dance III and IV. Most recently, his outgoing personality charmed the Class of 2010 to vote him as their Homecoming Prince. Soleil: Nothing, How are you? Soleil: Okay, so let’s get this started…Where are you from? Jaron: I was born in D.C. When I was two I moved to Clinton, MD, and I’ve lived there ever since. Soleil: What producers inspire you? Jaron: I have a top three, with no specific order: Timbaland, Kanye West, and the Neptunes. Soleil : Why are these people inspring to you? Soleil: Do remember the time, place, how old you were, etc. of your life when you decided that producing is what you want to do? Soleil: How much of your daily time do you devote to producing? Jaron: When I get home and finish all my homework, I’m just at it until late at night. Soleil: I know this type of commitment can be a costly one. How much money have you invested into studio equipment, etc.? Jaron: All together, about $935.00. Soleil: Wow! Is it hard to persuade your parents into letting you spend this kind of money? Jaron: Yes, very hard. They would rather me do things more practical. Jaron: Like business, something that I can fall back on if the music doesn’t work out. Soleil: I remember you telling me about a manager and studio time. So what’s going on with that? Jaron: I am waiting to find the right people who will spend money and time to pay for studio time, people who are dedicated to putting projects together. Soleil: On average, how much does studio time cost at studios that you look at? Jaron: Like $60.00 an hour. I don’t always go to the same studio, though. It’s different everytime. Soleil: At home on your computer, that’s where you work right? "Determination" says Jaron, about what a producer needs to be succesful. Soleil: What software do you use? Jaron: I use a combination. They’re called Reason 4 and FL Studio 8. Soleil: How do you find the softwares you use and how do you know if they’re good or not before you buy them? Jaron: I get demos of the software from friends of mine, and then I go on the internet and research on the stuff I’m looking at to know if it’s good or not. Soleil: How much does the software cost? Jaron: Reason 4 was about $300.00 and the same for FL Studio 8. Soleil: In general, how do your parents feel about you devoting so much time and money into this? Do they support you? Jaron: They like it because it’s something constructive. It keeps me out of trouble and it keeps me busy. They like jammin’ to my stuff, my mom likes the stuff. Jaron: Right now, definitely Lupe Fiasco. Jaron: because his style of lyricism is completely different from everything else that you’re hearing. Jaron: The reason for Jay-z is because, he’s Jay-z. He’s timeless! Soleil: Yayyyyy!!! Ok, so who would be your dream producer to apprentice? Jaron: Because he’s been around it all. He’s worked with Missy Elliot, Aaliyah, Justin Timberlake, T.I., he’s worked with everybody. Soleil: What instruments can you play? Jaron: I basically just play the piano. Soleil: Can you describe your style? Jaron: It varies, but most of the time it’s dark. Soleil: What do you mean by dark? Jaron: Like an ugly, like ugly face beats. Soleil: (Laughs) OK, so give 5 adjectives that describe your style of production. Jaron: I don’t have beats in my head like some people, I just sit down and go. Whatever happens happens. One word I can think of is complex: you hear a lot of sounds in my beats, I use a lot of different sounds, and you notice new sounds the more you listen to them. Soleil: Cool. So, have you ever heard a beat and tried to make a beat that basically mimicked the one you heard? Jaron: Oh man, I remade “Crank Dat Soulja Boy” in like forty five minutes. And I remade “Foolish” by Shawty Lo. Soleil: In your opinion what skills set does a person need to be a good producer? Jaron: Determination definitely. When I first started out I was pretty bad. But now I’m at a pretty decent level, for my age and everything. Also, they need an ear for what sounds good. Soleil: This is all so cool. Lastly where can people hear your beats? It’s obvious, that Jaron is passionate about his dreams, and that making music is more than just a hobby. He is not stingy when it comes to sharing his music. So after you listen to his sound on his Myspace page, ask him for a demo. It would be best to get a hold of his beats now before he becomes grammy award winning, because then, he’ll be getting paid thousands of dollars just to make one!